"I chose to do a face, but as you can see the face is not perfect. One side of the face is kind of crooked, while the other side is neater in order to emphasize the idea that everyone is beautiful in their own ways. 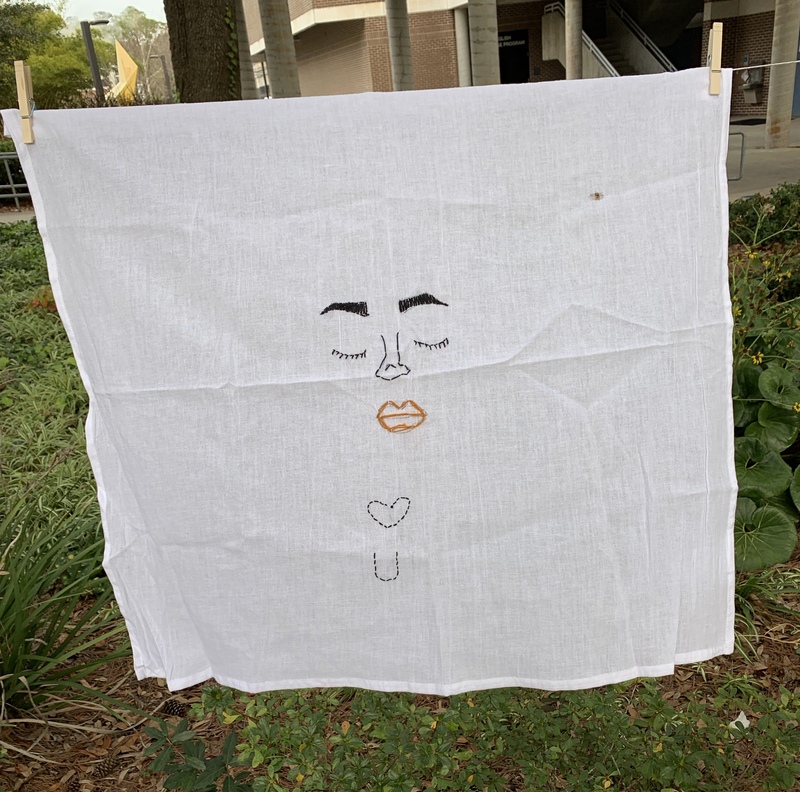 I created this in order to spread positivity and encourage others who may struggle with self esteem, which is why I also sewed the heart and the letter u (means love yourself)"
Image Description: A face is embroidered on the cloth with the bottom showing a heart followed by the letter "u". Gari Savage, “Love Yourself,” Embroidering for Peace and Memory, accessed April 23, 2019, http://embroidery.unfdhi.org/items/show/215.